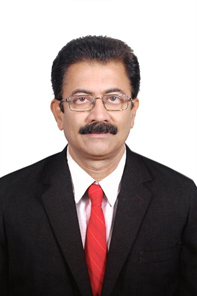 Dr Venkatesan is a Group Head of Ocean Observation Systems & Scientist G at the National Institute of Ocean Technology, Ministry of Earth Sciences, India. He earned his degree from Karnataka Regional Engineering College and his Ph.D. from the Indian Institute of Science, and has completed courses in Marine Environmental Pollution & Management and International Business Management. He has served under the UNEP Regional Seas Program and teaches Ocean Law and Ocean Observation courses. He has been awarded the JCOMM Outstanding Service Certificate by WMO & UNESCO IOC, the MTS Lockheed Martin award and a National Geoscience award. He is a member of the Asia Pacific Steering Committee of GOOS/UNESCO IOC, DOOS and OceanSITES. He is Chair of International Tsunameter Partnership, MTS India and is the former Chair of IEEE OES India. He is also a member of JTF ITU-WMO-UNESCO IOC. He has published 103 papers and three books and serves on the editorial board of three journals.